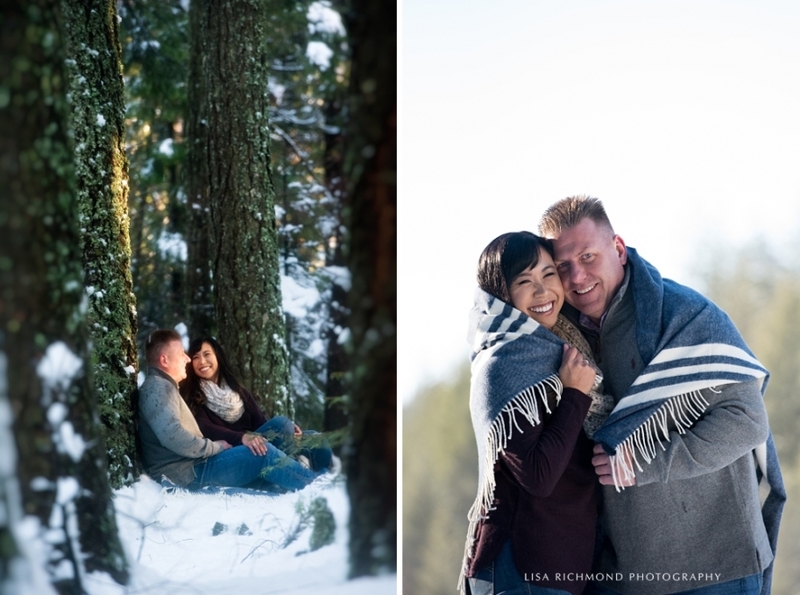 Given their marathon running experience, Jennifer and Tim had no problem navigating snow and ice for their January engagement session. Our lakeside plans had to be scrapped when we encountered a locked entrance gate, but the snow and light was actually better just around the corner. Jennifer and Tim had no problem trudging through the deep snow, and with all the slipping and sliding there were pretty of opportunities for genuine smiles and happy laughter! Jennifer has one of those smiles that just lights up the world, and luckily Tim gives her plenty of opportunities to make good use of that gorgeous grin. 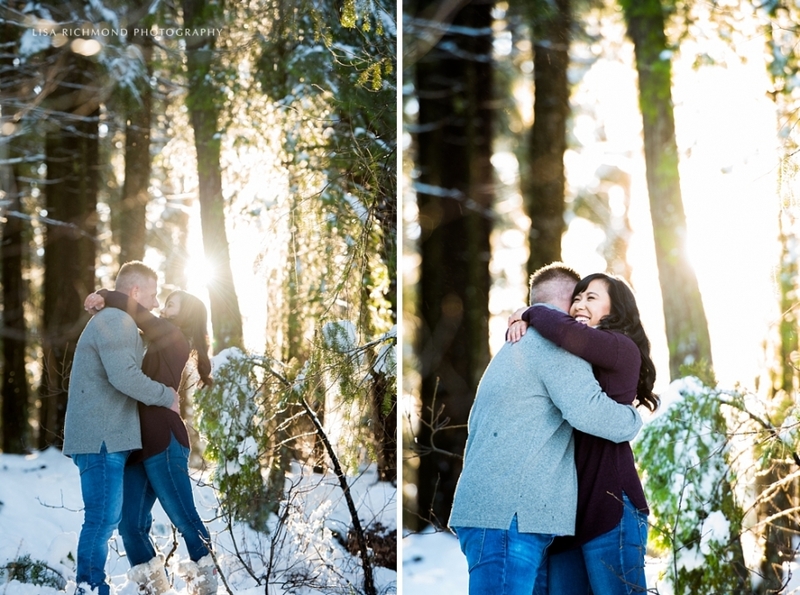 I just love how beautiful and wintery their images came out, with the afternoon sun shining through the snow-laden pines and the occasional snowflake falling from the trees. Jennifer and Tim had so much fun together and I can’t wait to see what they have planned for their summer wedding at David Girard Vineyards. Because they both love wine, getting married at a winery is totally natural for them. And David Girard is certainly one of the most beautiful wine country venues around! 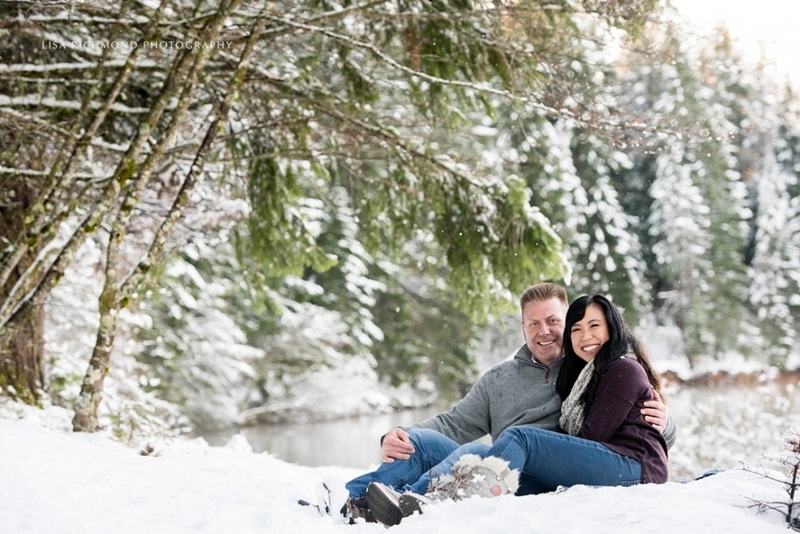 Whether dashing through the snow or strolling through the vineyards, Jennifer and Tim do it in style and with a smile. Congratulations you two, and best wishes as you plan for your wedding day!